Both the BCEC and Hynes Convention Center are surrounded by distinct neighborhoods, each having its own vibe and appeal. What makes Boston unique is that its diversity and culture can change from one block to the next. We invite you to explore our wonderful neighborhoods and make the most of your free time right in the city. The South Boston Waterfront is buzzing with activity! From trendy restaurants to chic shops and eclectic museums, you feel the energy at the Waterfront the moment you arrive. It is also the home to the Innovation District, an urban environment that fosters innovation, collaboration, and entrepreneurship. There is never a dull moment at the South Boston Waterfront! 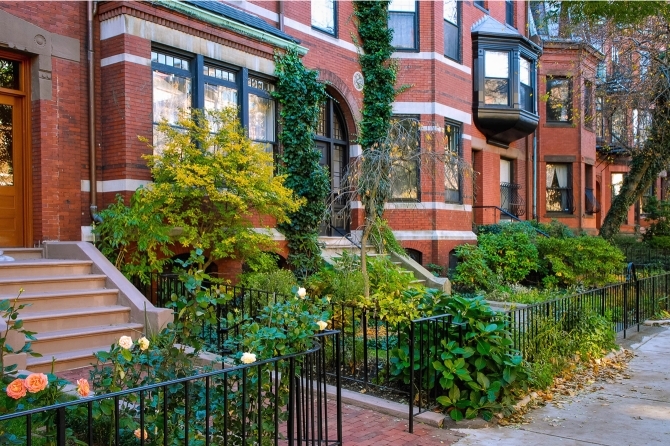 Victorian brownstones, beautiful gardens, boating, shopping, and dining: Boston’s Back Bay neighborhood has it all! Stroll through the Public Gardens and enjoy the breathtaking flowers in bloom while you delight in watching the children ride the Swan Boats. A walk down Newbury Street is a fashionista’s dream, with trendy boutiques and high-end designers mixed in with consignment shops and indie stores. With its posh and elegance, the Back Bay has a style of its own. 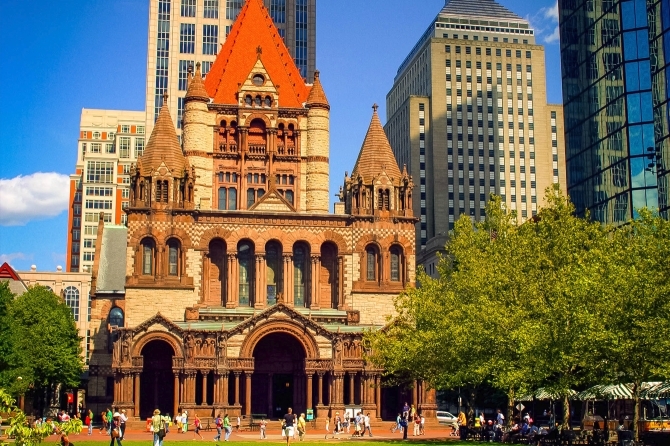 Copley Square is an architectural gem, as it is home to two of Boston’s tallest buildings, as well as the historic Trinity Church, and the Boston Public Library. The popular Copley Place and Prudential Center shopping malls offer even more retail therapy and dining options. If time permits, take a short stroll to the Charles River, where you can sit back and take in the scenery of sailboats and joggers. The area around Faneuil Hall, which includes the Rose Kennedy Greenway and Government Center, is bustling with activity. 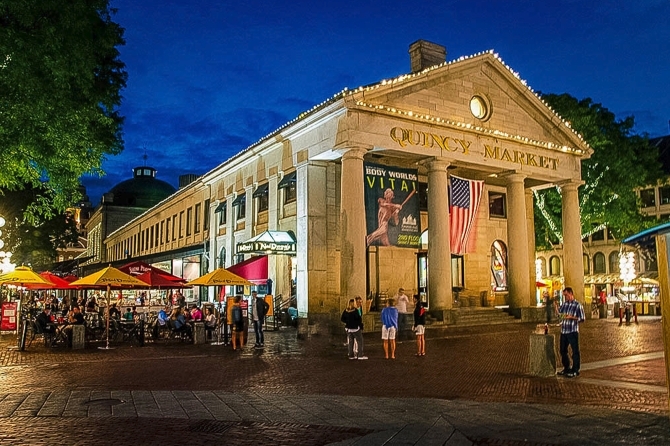 Head to Faneuil Hall Marketplace to watch the world-renowned street performers and musicians captivate the crowd. Grab lunch from one of the many food trucks that line the Rose Kennedy Greenway, Boston’s only organically maintained public park, or cool off in one of its seven water features on a hot day. 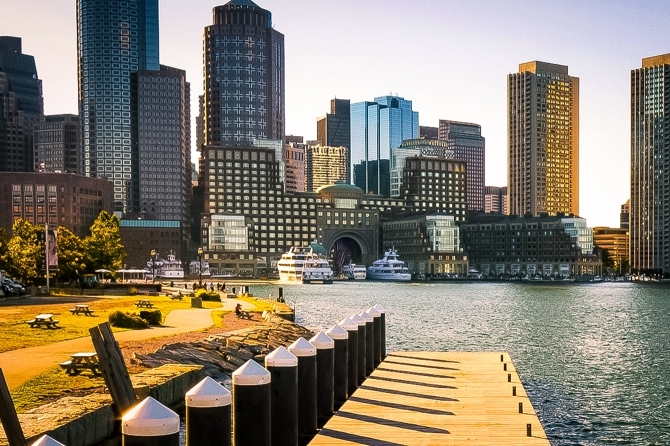 It’s no wonder why this part of Boston is the 7th most-visited tourist attraction in the world! An iconic and welcoming three-story pagoda marks the entrance to Boston’s Chinatown. 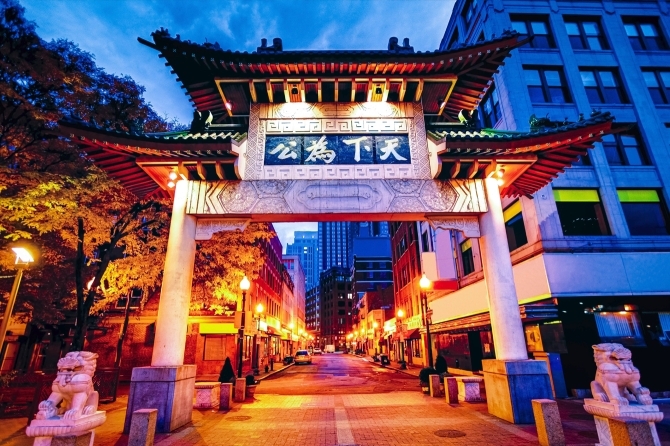 Rich with tradition, culture, and of course, great food, Chinatown may be small but it is the third largest in the country, behind only New York and San Francisco. The streets are maze-like, filled with everything from Chinese to Malaysian, old school bakeries to more contemporary ones, food markets, beauty salons, and retail stores. There is a vibrancy to Chinatown that is unparalleled! 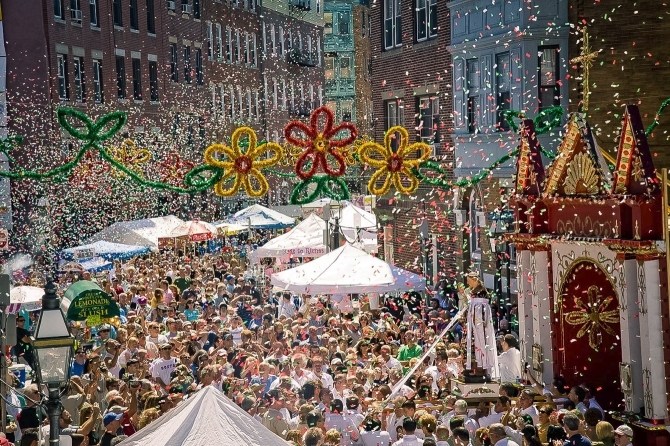 Boston’s “Little Italy” is a one-square mile urban neighborhood steeped in culture and tradition. 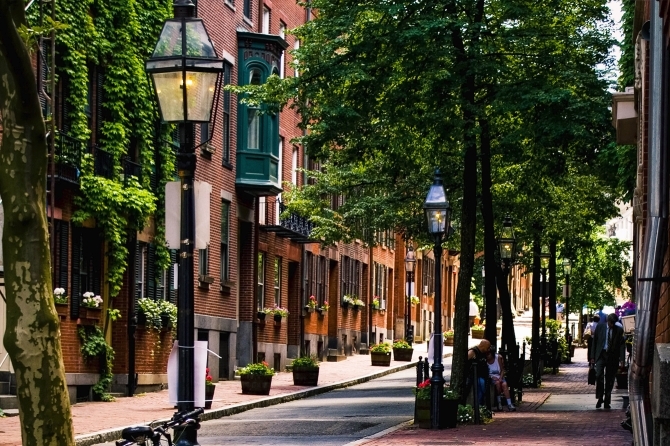 It is Boston’s oldest neighborhood and is home to too many Italian restaurants to count! Its narrow and winding streets are lined with shops and restaurants, with many of them spilling onto the sidewalks in the summertime. 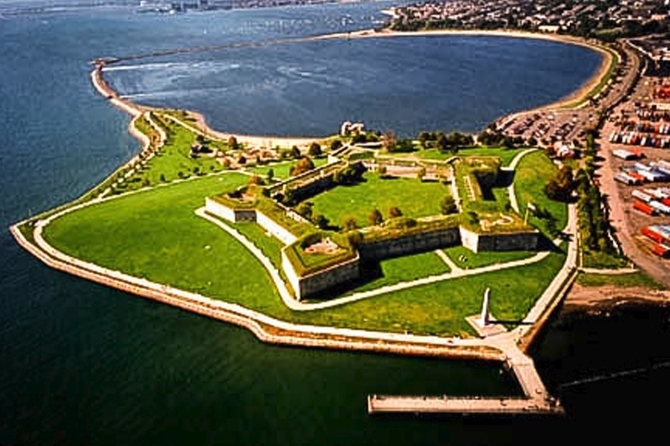 While the food and the summer “feasts” are the main attractions for visitors and residents alike, the North End is also bursting with history, making this geographically compact neighborhood a must-see! Tree-lined streets, red brick bow front townhomes, residential parks, art galleries, and restaurants. 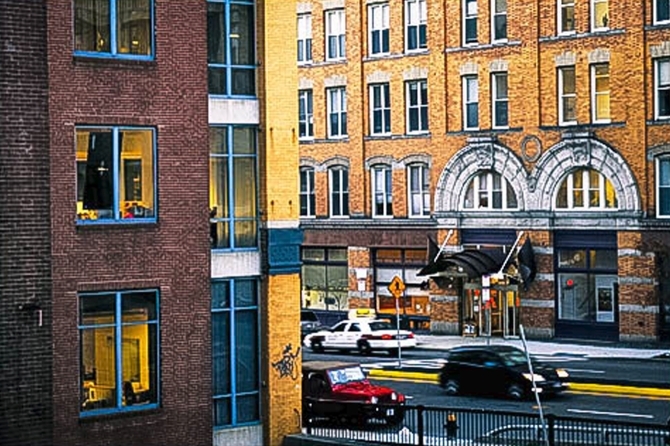 You will find all of this and more in this revitalized and energized Boston neighborhood. Tremont Street in the South End is often referred to as “Restaurant Row”, boasting a diverse mix of cuisines that includes Brazilian, Ethiopian, and African, among others. This hip and diverse neighborhood is also a hotbed for culture and artists, most notably on Sundays at its open market that brings together local artists, designers, and crafters in an outdoor setting. Quirky. Sophisticated. Collegiate. Boston’s Fenway is a vibrant neighborhood of colleges, culture, and of course, Fenway Park, home of the Boston Red Sox. 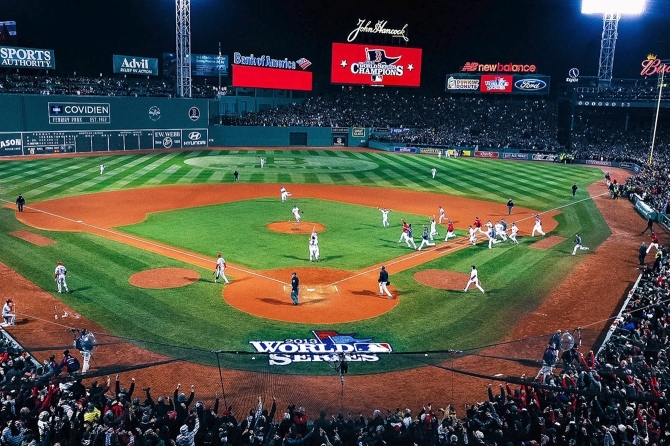 From the pizza joints and upscale dining, to the world-renowned museums and the best places in Boston to see a live band, Fenway is an eclectic hot-spot for just about anyone. South Boston, or “Southie” as it is affectionately known, has it all. The locals love displaying their “Southie Pride” and this sense of community is evident the moment one drives along Carson Beach and down L-Street. You will find young couples jogging with baby strollers alongside elderly couples walking hand-in-hand. 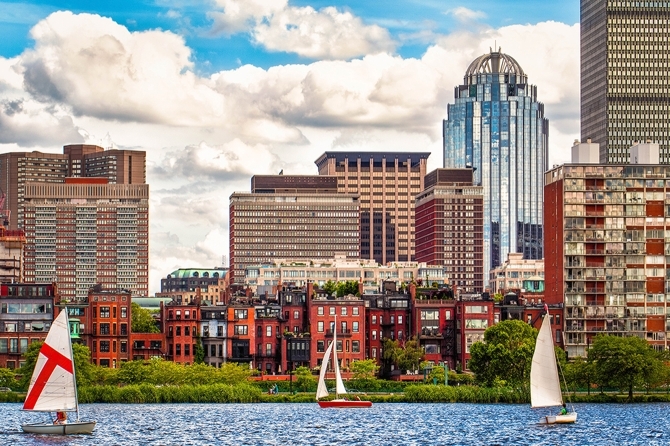 The close proximity to Boston proper has made South Boston a mecca for millennials who want an urban setting and amenities such as the beach and great dining. Walking around Boston’s Beacon Hill neighborhood gives you the sense that you are back in time. Its charm and character exudes from the hilly, narrow streets, brick sidewalks, gas lights, and beautifully adorned front doors. Beacon Hill has over 10,000 residents, who fill in every nook and cranny of this neighborhood, and give it a sense of community and familiarity. Antique shops and restaurants adorn Charles Street, the main street in Beacon Hill, while sitting high on the hill with its beautiful gold dome is the Massachusetts State House, which overlooks Boston Common. Boston’s Fort Point Channel District is New England’s original artist’s enclave. Over 300 artists call Fort Point Channel “home”. Former warehouses, converted to artist’s lofts and galleries, line its streets and the retail shops range from a unique blend of hand-crafted items (many made by artist residents) to a high-end fashion designer. The food offerings are as eclectic as its wares. You can enjoy a snack from a refreshment stand housed in a 40-foot milk bottle or savor some of the freshest seafood in New England!